Warren Buffett has finally taken a bite out of Apple's stock. The Oracle of Omaha's Berkshire Hathaway bought a stake in Apple during the first quarter, its first investment ever in Apple. But many big hedge funds are selling the maker of iEverything. They've fallen in love (or is it like?) with Facebook (FB) instead. According to two separate reports from FactSet Research and S&P Global Market Intelligence, Apple (AAPL) was the most sold stock by hedge funds during the first quarter. The selling was led by Carl Icahn, who dumped his entire stake in Apple in the first quarter. Prominent hedge funds Renaissance Technologies and Coatue Management were also big sellers of Apple. But did these so-called masters of the universe give up on Apple too soon? Since hitting a 52-week low in mid-May, shares of Apple have bounced back nearly 7%. And Apple has reclaimed the title as world's most valuable company from Google parent Alphabet (GOOGL) thanks to its recent rebound. Alphabet is actually a darling of Greenwich, Connecticut -- the unofficial capital of the hedge fund world. It was the third most added stock by hedge funds in the quarter, according to S&P. Mobile chip giant Broadcom (BRCM) was number 2. But both Apple and Alphabet may have to watch their back for Facebook. Hedge funds can't seem to get enough of the social network. The top 50 funds bought more than $3 billion worth of Facebook's shares during the first quarter, according to FactSet. Viking Global Investors acquired the biggest chunk, but giant hedge fund Citadel also scooped up some Facebook. And Facebook is the top holding of Coatue. It's a bet that has paid off -- on paper at least. Shares of Mark Zuckerberg's company are up more than 12% this year and are less than 3% from their all-time high. In general, hedge funds did a lot of shuffling of their tech stock holdings in the quarter. Several funds dumped Amazon (AMZN) and Priceline (PCLN) while a few picked up EMC (EMC), the data storage company that is in the process of being acquired by Dell. Still, hedge funds are going to need to perform better than they did in the first quarter to justify the huge fees they demand from investors. According to FactSet, the top 50 hedge fund holdings were down 1.5% compared to a 1.4% gain for the S&P 500. It's hard to be considered the smartest guy (or gal) in the room when any investing newbie plopping their money into an index fund does better than you. Adding insult to injury? 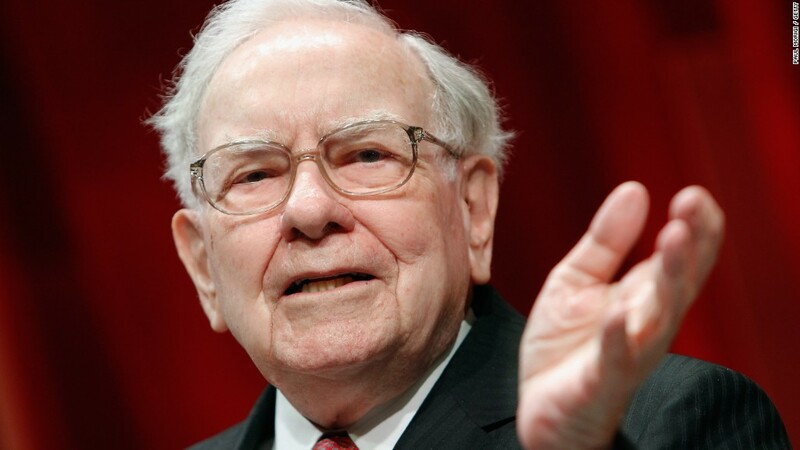 Berkshire's stock has gained 7% this year while Icahn's publicly traded Icahn Enterprises (IEP) is down 10%. So much for the hedge fund managers being masters of the universe.